Monoprice – This is not your traditional manufacturing company. Monoprice is actually an online retailer. It sells consumer electronic items under its own private label. In the area of 3D printers, it has some attractive budget models that are priced under $1,000. Its most popular model is the Monoprice Select Mini v2, which is a compact-sized desktop 3D printer. The price of that model is a stunning $180. Another benefit of the Select Mini v2 is that it comes pre-assembled. The other model which is a level up is the Monoprice Maker Ultimate. For domestic uses over small areas, Monoprice offers a lot of value in terms of 3D printers. Prusa – Prusa is a Czech company that makes very popular desktop 3D printers. Their printers are open source. Its model I3MK2S is a great pre-assembled 3D printer and is highly sought after. There is, in fact, a seven-week wait period after you place an order for that model. You can get the 3D printer in pre-assembled form or assemble it yourself. Price varies accordingly. The fully assembled MK2S will cost you $900. A DIY kit of the same model is priced at around $600. Prusa has done a good amount of work on the software side of things as well. The team has developed slicers which allow users to manage settings and take advantage of interesting settings like smooth variable layer height. FlashForge – Founded in 2011, Flashforge is based out of China. It is one of the most recognized names in the open-source 3D printing world. Its most famous models are the Creator Pro and the Dreamer. All of FlashForge’s 3D printers are CE, FCC, and RoHS certified. The company has also built ISO9001 compliant advanced assembly lines of 3D printers. It has a great pre-assembled model called Finder, which is an excellent choice of 3D printer for kids. The model comes with a touchscreen and costs less than $400. The Finder can also use filaments from other brands. Qidi – Another Chinese company, Qidi is a 3D printer company. It manufactures a range of models that can be used in a wide variety of applications. 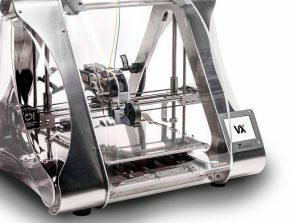 For pre-assembled 3D printers, the X-Smart is a popular option. It has a hinged door and a fully enclosed design that protects the user from fumes. The X-Pro is its higher-end model which can do a high level of detailing. Dremel – Dremel has been in the tool systems business since 1934. It now has a 3D printer segment under the name DigiLab. Its most popular pre-assembled model is the 3D20. At a cost of around $600, it is a reasonable option for beginners and for domestic use. The material used is PLA as other high-temperature options like ABS, HIPS, and ASA are not compatible. Third-party filaments are allowed but it will void the warranty of the printer. 3D systems – This manufacturer is one of the market leaders in the 3D printing industry. 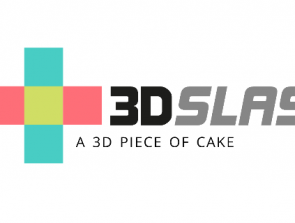 In fact, it was the first company to enter the market with SLA 3D printers. It currently retails many different models for additive manufacturing. In terms of metal 3D printing, it entered the sub-segment through the acquisition of Phenix Systems. Their printers use the DMP or Direct Metal Printing technology to build parts and high precision laser to solidify metal powder. A couple of popular models are ProX DMP 200 and ProX DMP 300. Renishaw – This is a British company that specializes in manufacturing industrial printers that create lightweight metal models. Renishaw has 4 main printer models, RenAM 500M, RenAM 500Q, AM250, and AM400. Their printers are compatible with Titanium, Aluminum, Cobalt Chromium, Stainless Steel, and Nickel Alloys. SLM Solutions – A German company that makes metal 3D printers, SLM Solutions is one of the market leaders in the segment of metal 3D printing. The technology behind their printers is known as DMLS or Direct Metal Laser Sintering which helps create complex designed parts through solidifying non-ferrous, tool steel, stainless steel, or light alloys. Desktop Metal – This company is known for making affordable 3D printers. It was originally started by a few professors at MIT and the focus was to make 3D printers cheaper, smaller, and quicker than traditional 3D printers. 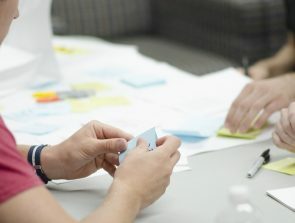 They have two main models, a Studio System which can be connected to desktops and a Production System which is a more heavy duty version. Well-known corporates like Google, BMW, and Lowe’s have invested in Desktop Metal. Sisma – Operating in multiple industries, Sisma is an Italian company that makes 3D printers based on laser metal fusion (LMF) technology. Their two major models are mysint100 and mysint300. Do not mistake the “sint” word for selective laser sintering process. Those models work on the LMF technology. Sisma’s printers are used quite a bit in the jewelry industry and the company has been around since 1961(though it entered 3D printing fairly recently). GE Additive – GE is a well-known manufacturing and engineering company. It has entered the 3D printing business via acquisitions of Arcam from Sweden and Concept Laser from Germany. Concept Laser manufactures 3D printers with the metal 3D printing industry’s largest and smallest build envelopes. GE has plans of selling over 10,000 industrial 3D printers over the next decade and is a significant player in this industry. It is currently building the world’s largest metal 3D printer. Formlabs – This company is another MIT startup specializing in SLA or Stereolithography 3D printers. They are very well-received in the desktop 3D printer market. The company has assembly plants in Germany and the US. The model named Form 2 is their most popular 3D printer. Form 2 is a resin-based printer and can be used in a variety of applications such as jewelry designing and dental products. It costs around $3500. Hewlett Packard – HP is a household name when it comes to printers and other electronics. It has also started offering 3D printers. HP uses a proprietary process known as MultiJet Fusion which leads to improved strength and functionality of its 3D printers. The technology enhances printing speed and reduces costs through lower use of consumables. The models that HP offers are known as HP Jet Fusion 3D 3200 and HP Jet Fusion 3D 4200. The 3200 is for making prototypes while the 4200 is more for production in an industrial environment. HPs 3D printers can now be found at printing services such as 3D Hubs and Shapeways. Carbon3D – A company based out of California, Carbon3D or simply Carbon is known for its M1 3D printer which works on the process of CLIP. This printer can print true elastomer materials and produce isotropic parts with unparalleled surface finishing and mechanical properties. In terms of speed, the CLIP process allows Carbon’s printers to print materials 100 times faster than comparable 3D printing technologies. Carbon counts BMW and Ford among its beta testers. The company is also working with Adidas to manufacture 3D printed high-performance footwear. 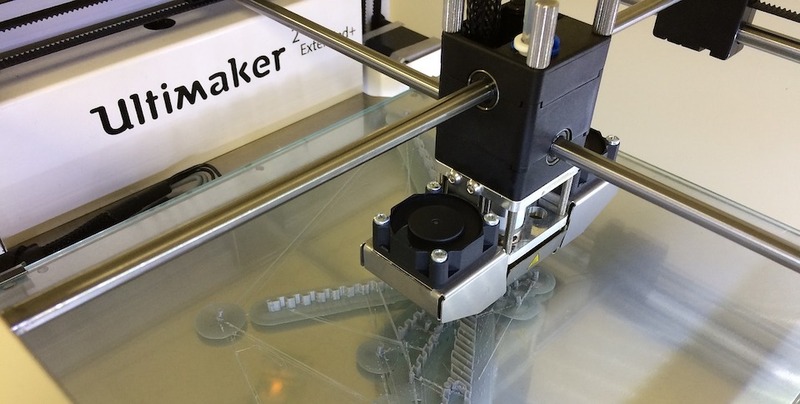 Apis Cor – Construction is a potentially huge area for 3D printers to create disruption. A Russian company named Apis Cor is doing just that. It specializes in making 3D printers for construction of buildings and structures. Their 3D printer can print the entire structure on site and it is suspended from a crane. Using concrete material, one can print self-bearing walls, the partitions, and the building envelope. Using a 3D printer is faster than conventional methods and it saves costs in terms of labor as well. E3D – This company is not a pure manufacturer of 3D printers. Rather, it sells innovative products and components related to FDM (Fused Deposition Modeling) 3D printing. 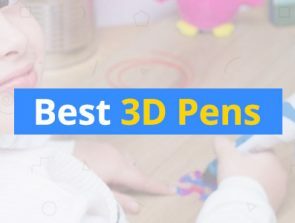 E3D pretty much sells everything other than software. Their products are often considered the best in class. Extrusion systems and filaments are their key products. You can enhance existing 3D printers from any company using E3D’s products. They have recently come up with a flexible filament that allows 3D printed models to bend and flex.